Established before 1831. A thriving town until its trade was captured by the present city of Houston, established 30 miles away in 1836. Abandoned about 1840. 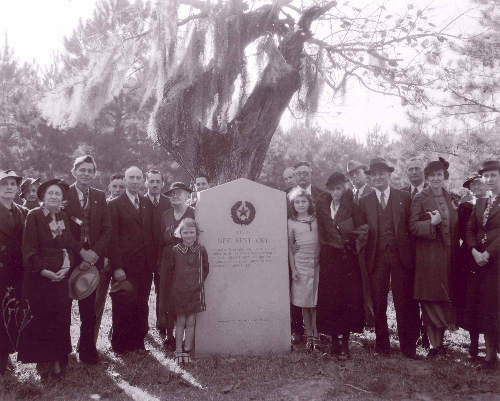 Members of the San Jacinto Centennial Association and others at the dedication of the historical marker for the site of New Kentucky, in the Houston area near Tomball, undated [circa 1936]. Photograph courtesy of the Briscoe Center for American History, UT-Austin, Bailey (Bob) Studios Photographic Archive, e_bb_4377.